The room which is going to be my future painting studio is still a mess, and I still have to buy the main painting desk, but I already put the new photo setup in place. I used a low cabinet on which I attached three lights. I wasn't able to position the lights the way I wanted completely, but in the end I got them all pointing the same way somewhat. I'm using three white 40 watt fluorescent bulbs for this, which grant a white, diffused light. Apart from the better lighting condition I now have a dedicated spot to photograph my miniatures. This way I will get more consistency throughout the pictures and I don't have to clear my desk and build the setup every time. If you are wondering where my cloud backdrops or previous photo setup are gone, I trashed them when boxing everything before moving because I already had this setup in mind. There are a ton of details on this figure, fun to paint but it takes up a lot of time. Once again I am faced with the exceptional detailing on this figure: the leather book case for example has a very fine texture to it, nearly impossible to capture during painting. I repainted the orb after my first attempt: the purple sparkles I painted on it reminded me too much of a christmas ball :) So I decided to paint it black, as it suits the figure more I think, like it's holding some dark energy. I will paint all the gems on the figure black, like the one on the pendant. 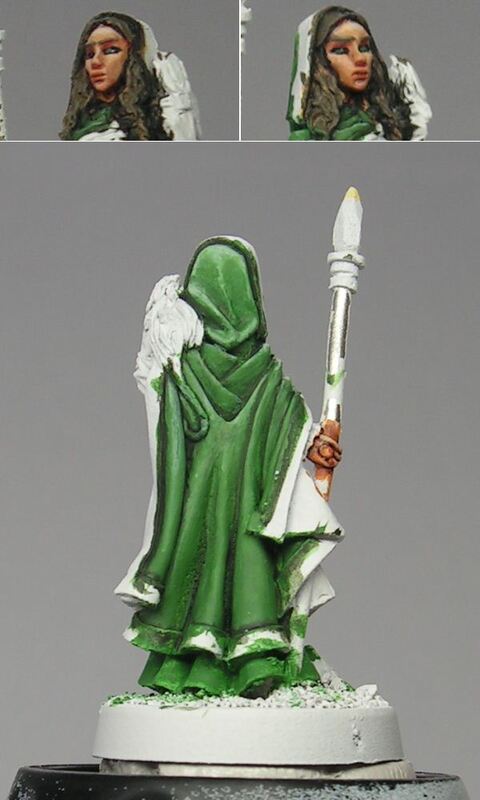 Finished the cloak of The Keeper earlier this week, and today I tried to introduce some color into the figure with some glazes. Since I'm not a glazing expert, I somewhat failed to achieve what I had in mind, but it made some of the blendings a bit smoother. I know the cloak still looks rough, but I like the effect anyway. The skin got some glazes of the base coat with some violet and bright skintones mixed in, the cloak got some burnt cadmium and beige. Yeah my glazing skills really need work, I should use the technique more to get more practice. Got some more work done on Myrianna, the rest of the cloak is finished, as well as the hair and I did some basecoating on other areas. I'm now probably going to continue with The Keeper, he's mostly done but has a lot of tiny details left. I'm currently enjoying my holiday with my family at the seaside. I planned to work a bit more on the reviews I promised, but the internet connection we have here is really terrible. But anyway I did quite some miniature painting already, for the first time in 3 months! I'm working where I left off: Red Box Games. 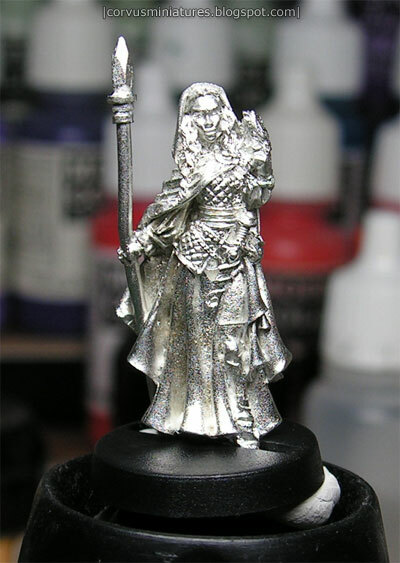 Did some more work on Yrsa and The Keeper, and started on Myrianna, the figure you see below. I decided to experiment with a technique I never really used before: wet blending. For those who don't know this method: it's basically mixing your shades and highlights on the figure itself. By doing this your blends will be very smooth, but it's a hard technique to master. But I feel I am improving very rapidly so maybe this will be the painting method I will use in the future. So far I did the face and the back of the cloak. 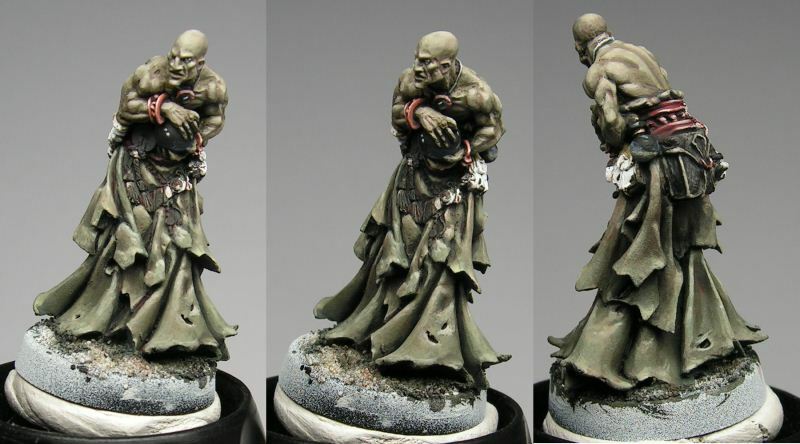 ..
Red Box Games is Tre Manor's own company, but he's probably better known for his work at Reaper Miniatures. The somewhat simplistic website offers links to an out-dated greens gallery and the shop. The shop itself offers only pictures of the greens, don't expect any casted figures or painted ones. There are five factions to choose from, all of them pure fantasy. Aelfar, the elves, has quite some armored fighters, but also some spearmen, a rogue and mages. The dwarves are called Dvergr, in my opinion the least interesting race. Most of them look alike: covered in fur, heavy helmets and big shields. 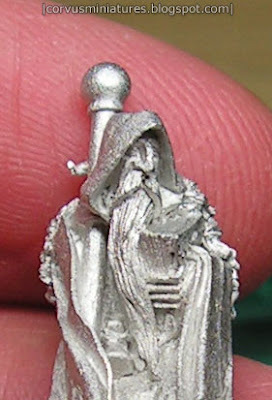 But there are some nice surprises, such as Dodgy Drexel, a small rogue, probably the tiniest figure of the range. Yes they are tiny. 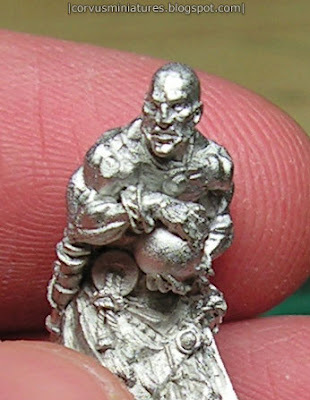 This is true 28mm scale, a rarity in most modern miniature ranges. I will talk about this more, but first I'll take a look to the remaining three races. 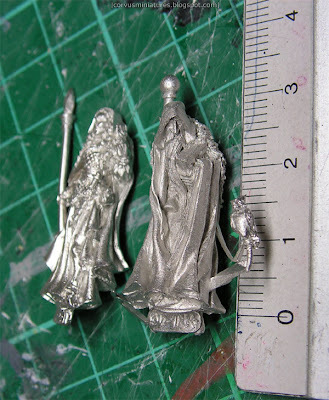 The Helsvakt are savage warriors which remind me a bit of the old Drunes by Rackham, complete with some druid mages. The fourth race are the Njorn, a bit similar to the Helsvakt, but they also contain some features of the Aelvar. Their overall theme reminds me a bit of the ancient vikings. Finally there are the goblins, Red Box Games' most recent race. This also contains the huge Bloodmaw and Horsebane figure: a goblin mounted on a bear, probably one of the most spectacular figures of the entire Red Box Games range. Now that we have got to know the company and its miniature lines a bit better let's get a closer look at some actual minis. 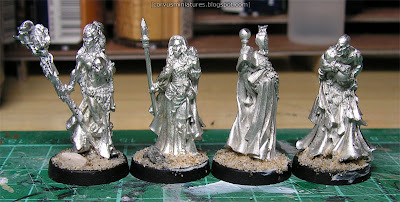 The minis are got are these: Yrsa the Accursed, Olsvalter the Aged, Myrianna of Aelfheim, The Keeper. All of these are priced at 8,99 USD, which is fair price I think. All figures are shipped in their own zip-lock plastic bag together with a base. The figures I got were all one-part, except for Olsvalter: the owl on his back should be glued on. The bases are quite small, a lot smaller than the average round base actually. Once a figure is mounted on there's hardly any place left for basing, except for some regular sand. I strongly advice to base them on a bigger base for additional room. There is a lot of detailing on the figures: weapons, scrolls, familiars, trophies and a wide variety of magical items, they are all sculpted on with the same amount of care. Sometimes this can make a miniature look busy, but here it just looks right. There are plenty of bare areas left, don't worry. Casting was very good. Some mold lines here and there of course, but nothing really serious. 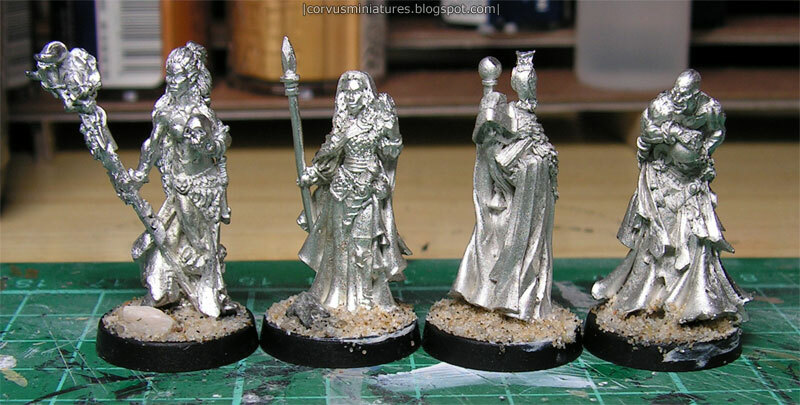 Here are the figures lined up, ready to be primed. I'm really going to enjoy painting these for sure! Some of the best figures I have ever seen. Characterful, extremely well sculpted and very detailed. These gorgeous miniatures are really made to paint up nicely, and they're a challenge to do so too. Money well spent. 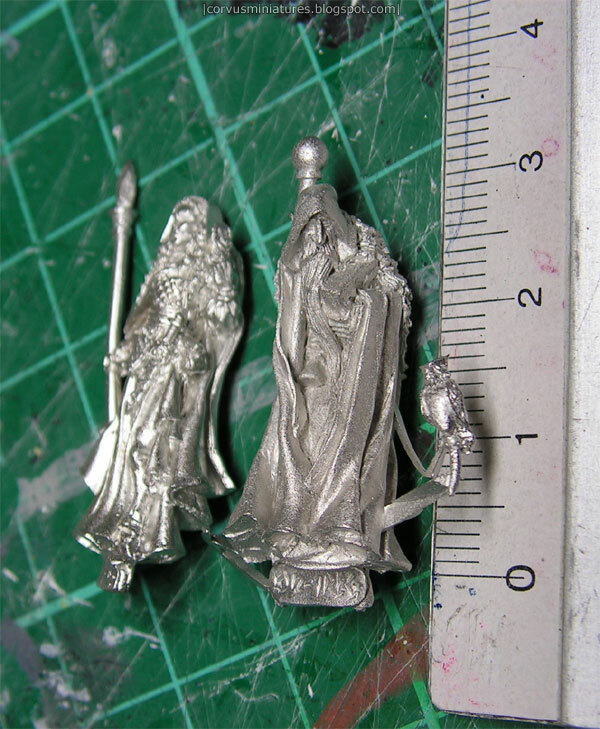 Red Box Games: 28mm fantasy goodness from the US. Tor Gaming R&D: figures for their upcoming game "Relics"
VoodooWorx: UK based supplier of sculpted resin display plinths. Plinth Country: a new player on the resin and wood display plinths market, coming from Poland. Do you want me to review your product as well and attract new customers? Please contact me at gerrie.schenck@gmail.com. Visit the Chest of Colors forums and upgrade your painting skills! Some of you might know Chest of Colors as the homepage of some top painters from Poland. But behind the green facade of the front page lies an international community of artists of which I'm a proud member. 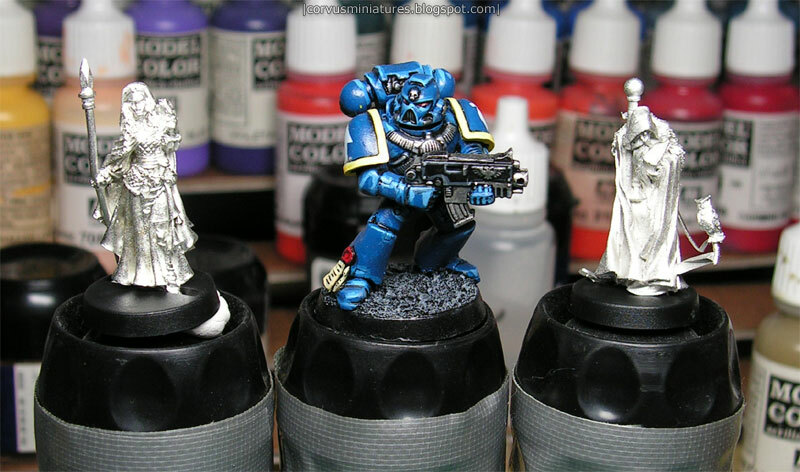 In my opinion it's the best forum around if you want to take your painting to a certain level. Of course there are lots of other forums out there, but these are usually oriented towards gamers (with all respect) and if you post something of a higher quality level there the usual response is "wow man, that looks great!". At Chest of Colors all pieces will receive constructive comments, even if it's a golden demon winner. 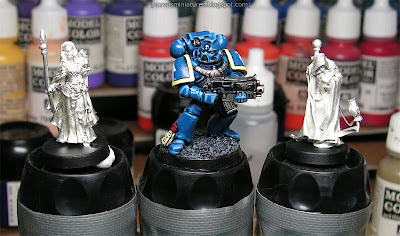 Miniature painting is all about getting better and improving your techniques, but how can you achieve this without someone who points at your mistakes? The heart of the message board are undoubtedly the Showcase and WIP (work in progress) forums. 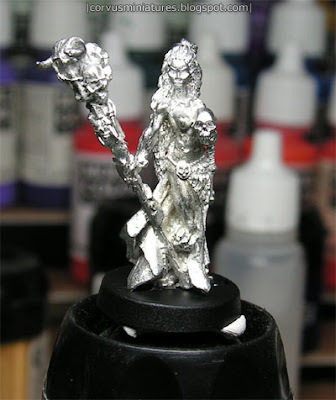 There are also separate forums to do brainstorming or ask for specific painting techniques. In the new releases forum we talk about new releases of all possible manufacturers. And there's much more! If you have never visited a real painting forum before, don't expect it to turn you into a Golden Demon winner in an instant. You will however get great feedback and this will improve your painting, that's for sure. The more you put in it (posting images of your own work), the more you will get out of it. Finally the move is over. Months of hard work have finally paid off, my family and I have settled in the new house. There's still a lot of work to be done, but at least we can shift to a lower gear again and take our time unpacking and installing everything since there aren't any real deadlines anymore. our bedroom in our previous house will have to be reassembled there, to contain all kinds of non-painting related stuff. When that is done I can measure everything up and start thinking about the layout of the desks and other furniture. enjoyable to have more space: it's more than twice the size of our previous house. And the garden is about 10 times as big :) The picture you see here is some kind of rare Japanese tree which happens to be planted in the garden by the previous owners. I'm probably going to redesign the entire garden in the next one or two years, but this beautiful tree will stay in it. Last week my new supply of W&N brushes arrived. I will keep them safely in the box for now. Today my copy of the new CoolMiniOrNot 2008 annual also arrived. It's really a great source of inspiration and I will probably write a bit more about the book here soon.